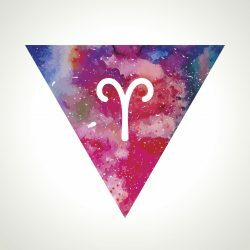 Beautiful Aries, you could experience a standstill this week or perhaps a state of mental paralysis, you may find that you feel that some tension needs to be released. Any discomfort you feel this week could be arising so that you clear the air in some way, the Two of Swords tells us that if we blind our self to conflict it won’t magically go away. By facing what is before us honestly we can release it. Although this may be a little unpleasant, perhaps a certain situation needs to be faced so that tensions can be released and then you can make space for the magical healing can begin. Be mindful that by blinding and deafening yourself to what’s upsetting may feel like you’re not upsetting the status quo but by doing this you’re neither happy or unhappy because you’re inhibiting your growth and stopping yourself from moving forward. The Two of Swords promises a new view of life and perspective, this may have already begun to emerge from within you, you could be seeing extremes in a situation at the moment so give yourself time to feel your emotions, allow them to percolate, you probably already know that something must change. You could face a period of indecision, you may be feeling caught up in a stalemate, remember that by refusing to act could lead you to further stagnation. Be mindful that by approaching your situation honestly, you’ll be able to clearly see what it is you may be fearful of and what you can do to change it. The Two of Swords is showing you that you have the strength to handle this creatively by facing honestly what is happening, by doing this you can release tension, move forward and continue to grow. you’re being shown your courageous and indomitable spirit this week. You could be learning the importance of mind over matter this week, perhaps having multiple realisations about your amazing capabilities and skills. It’s likely that you’ll experience the power of your thoughts and feelings, you can expect to feel empowered by understanding what you focus your intention, thoughts and feelings on can be manifested, created, and brought to fruition. Strength is reminding you to pay attention to what you want rather than what you don’t want in your life. It’s likely that you’ll be able to harness your thoughts this week and use them for the highest good, what do you want to create in your life? Cast your intentions out into the ether and focus on the highest and best outcome. Strength is reminding you that you can conquer your fears and control your impulses, as long as you can have patience with yourself, be gentle with yourself, remind yourself of your victories and amazing resilience. Outward things and egotistical ways of thinking will probably be less important to you this week, you’ll be likely more interested in keeping your inner world strong and together. You could find yourself realising that you have more options available to you than you originally thought possible, you’re so strong and by being resourceful you’ll be able to draw inspiration and guidance from within. You’ll likely experience a boost in your confidence this week, Strength is showing you what you can gain when you can be responsible and self-reliant, it’s likely that by the end of the week you’ll likely be feeling amazingly strong and courageous. You got this. it’s likely that you’ll be feeling fresh and new this week. The Fool is showing you that you’re beginning something new, are you feeling this brand new emergence of something? The Fool is asking you, are you ready to take a leap of faith? This is a brand new beginning, The Fool is always a huge significator of a new adventure, so what are you beginning gorgeous one? What’s new and fresh with you? You could experience some feelings of purity and open-heartedness this week, the energy surrounding you and this card is a potent one. Enjoy this fecund time and embrace this beginning, its likely that you’ll be starting a fruitful and busy period. You could find that these new beginnings have a deep and significant spiritual meaning for you, perhaps you are starting a new project or a new relationship, no matter what is beginning for you a fresh start is promised when you receive The Fool. You could experience some excitable urges this week, it’s likely that you’ll want to treat your life like it’s a big adventure with lots of treasure to discover. Feelings of buoyancy and optimism are yours, fill yourself up with positive anticipation about what’s ahead for you for the most beneficial week. Try to make the most of any opportunities that come your way, positive thinking should be a walk in the park for you as The Fool is showing the joy of looking on the bright side. you’ve got the most romantic card of the Tarot this week! Romance and uplifting vibes are swirling around you, the Knight of Cups is like a Knight in shining armour coming into our lives to enhance our love life and boost our emotional realm. It could be that it’s your own developing romanticism that is leading you towards more romance in your life. Has romance been on your mind recently? Have you been yearning for more love and romance? With Venus the planet of love now moving forward this is a beautiful card to receive, the Knight of Cups is a gentle reminder of what you give to yourself, the universe will give back to you in the form of experiences and people. Have you met someone recently that you have a spark with? You could meet someone special this week, as romance and expansion of the heart is likely coming to you. You deserve love, romance and resonance, open your heart to life’s possibilities and open yourself up to life this week. Get crystal clear about what you desire in regards to love, remain positive and fill yourself up with feelings of anticipation, and of course, as always keep your self-love at a high level. Some good news is likely on its way to you this week that will take you to an exalted and uplifting feeling space. organisation is your best friend this week. Whatever you’ve been wanting to sort out and organise you’re likely to get it done with ease and skill. Its likely that your to-do list is growing and you’ve probably got an urge to tick them all off this week. The King of Swords tells us that we have the capabilities to achieve our outcomes, to execute our plans and commitments with power and confidence. You may find yourself taking your responsibilities quite seriously this week and you may have a yearning to plan and organise yourself brilliantly. The King of Swords is giving you mental clarity and sound judgement this week, this will stand you confidence and prepare you for a potential leadership role and in making beneficial decisions. 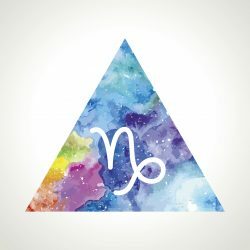 You may be sensing that your responsibilities are growing this week, you may have to detach yourself from emotional situations so that you can keep your mind clear and unbiased, it’s likely that you’ll be able to remain impartial in a work situation. You could find that a new perspective is emerging, one that allows you to be more objective and reasonable. The King is Swords is asking you to be rational and diplomatic this week, he showing you that using your intellect and logic will help you to navigate any obstacles smoothly. The King shows us the value of being impartial, it can help you get along with others brilliantly. You are likely to be smarter rather than harder this week, you may be drawn to ways of sharpening your intellect, you could be called upon to offer some sound advice to someone. You have the power, authority and focus to smash your goals. 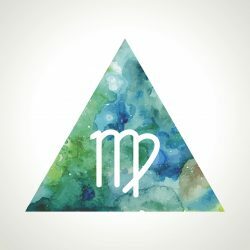 you’re likely to be thinking about partnerships and perhaps you’ll be making a choice in regards to a love relationship this week. You could be considering a new relationship or perhaps thinking over what a particular relationship means to you. You could be making a personal sacrifice by coming to a compromise, it is likely that relationship matters are what you’re focused on this week. With Venus the planet of love now moving forward this is a great card to receive, you may be faced with a significant choice regarding love but it’s likely that you’ll be able to weigh things up well and decide with clarity. Questions may be at the forefront of your mind, perhaps you’ll be considering why you chose to enter into a relationship, or maybe you’ll be thinking about what you are due to gain by agreeing to partner up with someone romantically or creatively, this is a positive card as it implies that through meeting any challenges in any relationship, you will ultimately learn more about yourself. 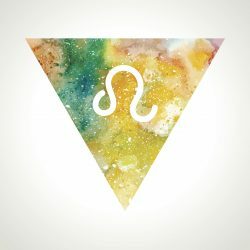 The Lovers is reminding you that when you choose to be in a relationship with another, whether that’s in a business or personal way, you are subconsciously agreeing to be more like this person, your choices mirror back to you your values and ethics, effectively your choices mirror back to you the kind of person you wish to be. You can expect agreement and smooth negotiations this week. 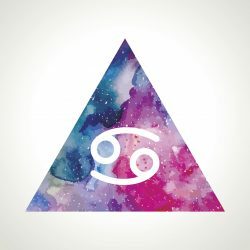 you’ve got some magic this week, intuition is your best friend and you have a reservoir of inner wisdom upon which you can draw upon at any time. 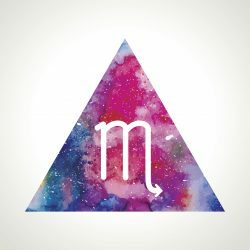 You’ve got a direct think to the moon, it’s likely that you’ll be full of inspiration, reflection and introspection, you’re embodying magical wisdom and you could have a deep knowledge about how this week will unfold. The High Priestess is asking you to rely on your intuitive faculties this week, you may have doubted your inner voice in the past but this week you’ll be able to trust your inner guidance with ease. Pay close attention to your dreams as they are likely to have some valuable messages for you. 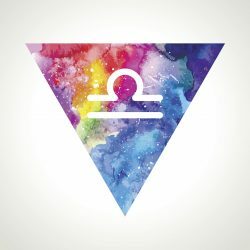 Synchronicities are likely to come thick and fast this week and it’s possible that a surprise will be coming your way soon or a secret will be revealed. You could find new ways of doing things that could make your life easier. 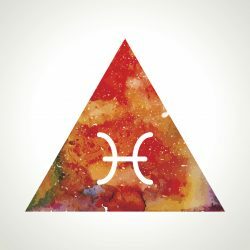 Detach yourself from any dramas and gossip, with The High Priestess you’ll find that can observe things without becoming attached to it this week. You could find you’re drawn to discovering new inspirational information and wisdom, pay attention to what you’re drawn to and what resonates with your soul. Trust your instincts as they’re guiding you toward future happiness. Messages and guidance can come to you from lots of unusual places this week, so be sure to look out for them. you’ve got the abilities to create some magic this week! It’s likely that you are undergoing a new beginning, expect to meet your inner guidance and develop your manifestation abilities. The Magician is the bridge between the conscious and subconscious mind, he helps us to create the life we want and assists us in harnessing our skills and abilities. It’s likely that you’ll be inspired to apply your skills and initiative to accomplish all your goals this week. You may find that you have a strong desire to begin something new, accompanied by a strong sense of optimism you’ll be able to make decisions that are likely to have positive results. The Magician is asking you to get serious about manifesting your goals by utilising the skills, tools and resources that are available to you. It’s likely that you will come up with creative ways to solve old problems and you will be able to use your amazing knowledge and dazzling connections to arrive at solutions and new ways of doing things. This card is a good omen when you have a wish in mind, also it’s fortuitous when you are beginning a project involving creativity, or when you want to make any transformation in your life. Call upon all the elements for help and wisdom this week, you have The Magician guiding you to create a better and happier life. you may find yourself in a situation where you’re unsure of what to decide this week, you could be feeling of being fearful of breaking free from a situation. If you’re feeling unhappy in a particular circumstance but also afraid to take yourself away from it, you must listen to your inner guidance this week. You may be feeling hemmed in by circumstances and perhaps feeling a little trapped by your own indecisiveness, but the Eight of Swords is telling you that you are in a good position to change this and make beneficial choices this week. A particular situation may not be as complex as you may think it is but by facing it as honestly as possible will help you through it with grace, for instance by coming to terms with any part you have played in events will help you to take personal responsibility and help you to move out of the mental anguish that you may be feeling. Try not to be too hard on yourself or too rigid in your outlook, we all have times in life where we are guided to confront old beliefs or behaviour patterns that keep us in the same place, by being brave and transforming inhibiting situations helps us to move forward out and away from stress. The Eight of Swords is asking you to be open and receptive and ask for help if you need it, share what you’re feeling with someone close, by taking responsibility for your life and what you truly want can help you to break free from whatever is holding you back or inhibiting you, it’s likely that by the end of the week you will begin to feel more empowered and calmer. you’ve got the wish card this week! It’s likely that you’ll have a dear wish granted, optimism and a renewal of faith can be expected. You could find that a desire of great importance will come to fruition, you’re likely to be feeling optimistic and filled with a sense of positive anticipation. If you’re not feeling these things yet, relax and trust that it’s coming to you this of the most uplifting and positive cards that you can receive. You may be feeling that family life is a great source of comfort and perhaps at work, you may be realising just how much you are valued for what you bring and give. Good luck and fortunate circumstances that you’ve been hoping for could be yours if you remain in positive expectation. 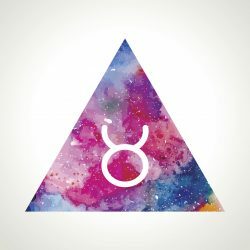 If you have been thinking about a project that has been delayed recently, this week could be the time that it moves forward with positive momentum and ease. If you’re currently in a relationship, it’s possible that it will deepen and become more lovely for you this week. If you’re single, this is a great time to socialise and have meaningful conversations with the people that could become significant in your life in the future. Use the good energy of this time to enhance your life, have fun! after a period of uncertainty there’s some clarity, sunshine and optimism. The Eight of Wands comes to us when we have been through a period of delay and setbacks and now the path ahead is clear. You may have been feeling strained and stressed recently, you overcome some challenges and you’re stronger and more resilient as a result. There’s new momentum after a time of delay and struggle, you can now move forward and perhaps you’ll be making plans to travel. It’s likely that you will unlock some positive energy this week, you’re releasing tension and anxiety, and you’re probably understanding that by overcoming obstacles recently you can feel more confident and self-reliant. The Eight of Wands is asking you to focus on how good it will feel when you reach your destination or goal. You deserve this new life that’s on the horizon. 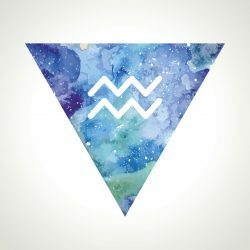 Sometimes we need some difficulty and argy-bargy conflicts in life to help us to create a better and more authentic life, it’s likely that you’ll understand why there have been difficulties recently, you’ve overcome a lot and the lessons you’ve learnt on the way have given you a great deal of experience. This week it’s likely that you’ll experience a clear stretch of activity where your imagination can flow unrestrained and ultimately you’ll feel freer. You could be feeling ready to broaden your vistas and meet new people. Take advantage of this productive time with both hands, enjoy this period of unrestrained flow and success, it’s likely that you’ll see that once you resolve your anxieties you can be all set to focus on the new journey ahead. The Eight of Wands is showing you that your future can be something to look forward to, just keep your focus on the finish line and go with the flow as much as you can, this is a favourable time for you to channel your creative energies and create your desires. you could be feeling more hopeful and optimistic than you have in a while. The Star reminds us that faith and hope are what keep us warm during dark times and help lift our souls and emotions to an exalted place. It’s likely that you’ll find yourself feeling inspired this week and perhaps a great deal more hopeful about your future than you have in a long time. What’s filling your heart and soul with joy? There’s part of you this week that is remaining hopeful and optimistic about things, even though life may have been a little challenging recently, you know that there’s something deep within you that’s remaining hopeful that all will work out well. This card is a brightening and uplifting one, The Star shows us that when we pray, hope and trust, the universe swooshes in to assist us. 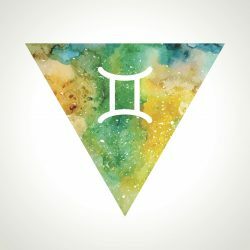 There may have been some turmoil recently and this could have left you feeling out of sync with life and perhaps a little weary. When we experience challenges it’s as if there’s a storm in the sky and we can’t see the stars, and it’s difficult to see a solution or find a remedy for what’s happening. During these times is worth remembering that above the storm the stars still twinkle and that there is a solution. It’s likely that you’ll realise this week that recent challenges and disruptions have helped you look for the stars twinkling and look for faith and hope in your life. The Star is telling you that you must believe that anything is possible when you have faith and hope. This is a brilliant week to think and act positively, trust that the universe has your best interests at heart and ultimately has your back. 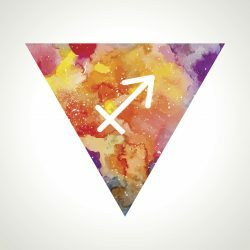 Heeding this guidance you could find that a new and bright positive outlook emerges from within you, hold on to your faith and hope in a better future and know that unexpected blessings can manifest in your life when you can trust and wish upon a star.